eOriginal, Inc., the trusted experts in digital transaction management, announce that its President and CEO Stephen F. Bisbee was recently honored by the Electronic Signature and Records Association (ESRA) with the organization’s first presentation of its Cornerstone Award. ESRA, the premier trade association representing electronic signature adopters and providers, awarded five individuals the ESRA Cornerstone Award at its recent annual conference, eSignRecords2014, in New York City. Along with Bisbee, the award was presented to Amelia Boss, Trustee Professor of Law at Drexel University; Patricia Fry, former commissioner of the Uniform Law Conference; Jeffrey Ritter, external lecturer for the University of Oxford and digital information expert for jeffreyritter.com; and David Whitaker, counsel for BuckleySandler LLP. This group was drawn together in the late 1980s to develop the Uniform Electronic Transaction Act in 1999 and bring coherence and consistency to the laws pertaining to the validity of electronic signatures. In addition to his pioneer work, Bisbee co-founded eOriginal in 1996 and the company has earned respect across the industry for its expertise in product innovation and legal framework for electronic signatures and post-signature asset management. 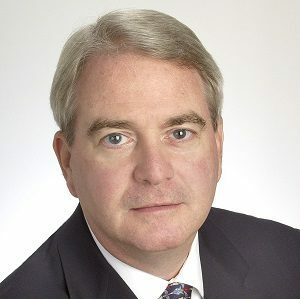 Furthermore, Bisbee is a past president and current board member of ESRA, having dedicated himself to expanding use of the burgeoning technology by driving knowledge sharing within the industry and a broader recognition of the value of electronic signatures and electronic records across industries. In addition to Bisbee’s service to ESRA, Elizabeth McClure, General Counsel and Corporate Secretary for eOriginal, currently serves as the Association’s Corporate Secretary, and eOriginal was a Gold Sponsor of the eSignRecords2014 Conference. Held most recently in November in New York City, the eSignRecords conference is the world’s premier event on issues surrounding electronic records and signatures, and the event serves as a forum for professionals to exchange expertise with colleagues from around the world and build connections. Founded in 1996, eOriginal is the trusted experts in digital transaction management, specializing in the post-execution management of financial asset documentation. eOriginal SmartSign® and eAsset® Management Services enable an end-to-end solution for fully electronic transactions that must be managed with the highest levels of security and compliance throughout their lifecycle. By treating every transaction as having assets that must be verifiably secure, legally compliant and enforceable, eOriginal provides its customers and partners with eCertainty®. For more information, please visit www.eoriginal.com.